Perfectly suited to the smaller bathroom, Marbletrend vanities are compact and sleek. 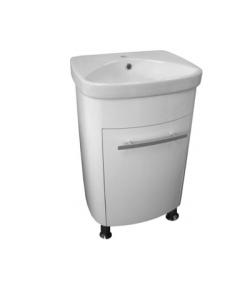 All vanity cabinets have high quality vitreous china basins providing a durable and hygienic finish. Vanity Cabinets by Marbletrend are perfectly suited to the smaller bathrooms. Compact and sleek in design, all vanity cabinets have high-quality vitreous china basins providing a durable and hygienic finish.